Just in time for the start of summer, Lyft is now live in Charleston, SC. Whether you’re heading to Folly Beach, posting up at Reds on Shem Creek, or hitting the bars on upper King, Lyft will be your ride. To celebrate the launch, we’ve pulled together the best places to visit this summer, for locals and tourists alike. For a town that is chock full of tasty Southern eateries and cute cocktail bars, this was no easy feat, but we did our best to narrow the list. Poe’s Tavern: Poe’s is a classic, an institution. Everything on the menu at this Sullivan’s Island restaurant is themed after Edgar Allan Poe (e.g. The Annabel Lee crab cake sandwich), but the vibe is anything but grim. We’d say it’s a crime not to try one of the burgers, but it’s honestly pretty easy to fill up on queso and french fries before you even order your main dish. Trattoria Lucca: What do you get when you mesh Italian food with Lowcountry fare? Something that lands on Travel + Leisure’s list of the best Italian restaurants in the country. While this eatery is definitely more casual than it's other Italian counterparts (shoutout to Indacco on King), it’s also downright romantic, making it the perfect summer date spot. 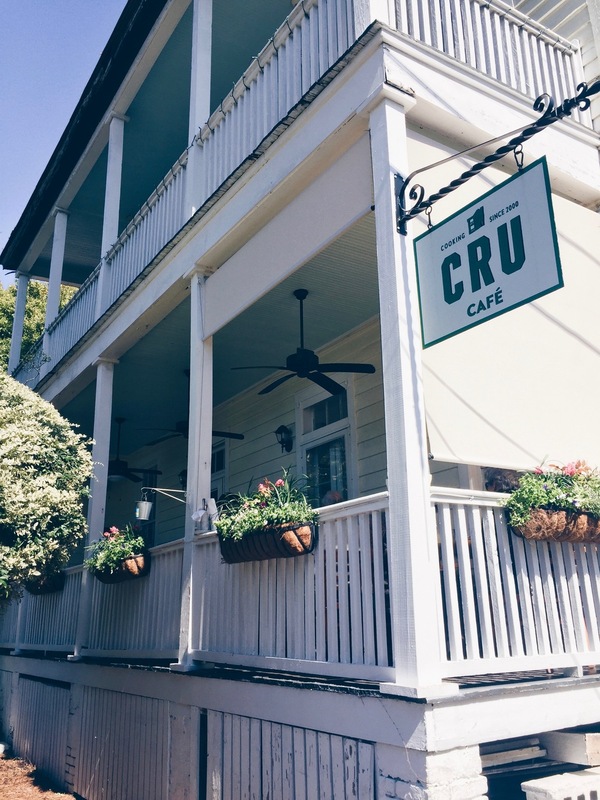 Cru Cafe: This is one of Charleston’s lesser known restaurants, but it’s a classic nonetheless. Set in a charming 18th century house, this is the place you take you Mom for her birthday, or your best friend when you’re in need of some serious catching up. It looks and feels like a family home. Ask to sit on the porch, order a bottle of chilled rosé, and watch the carriage tours go by across the street. Leon’s: Charleston knows seafood, and this tiny, rustic oyster shop on Upper King has something of a cult-like following. Beyond oysters, they also serve some delectable fried chicken and hush puppies. For dessert? Their soft serve alone is worth the visit. The Commodore: This recently renovated, former jazz venue on Meeting Street is Charleston’s latest hot spot. It’s much edgier than the typical Upper King bars, and the live music, affordable cocktails, and promise of dancing are all big draws. The Watch at The Restoration Hotel: Charleston’s best rooftop bar is a toss up between The Watch and The Vendue, but we’re going to give the award to The Watch. Simply put, the views are incredible. It’s the highest bar in the Peninsula and has a full menu of snacks and plates, should the cocktails leave you hungry. Get there for happy hour and stay to watch the sunset over the harbor. It wouldn’t be Charleston without mentioning some of the rowdier bars on Upper King. Definitely geared towards a younger crowd, but perfect if you’re celebrating a birthday, beach weekend, or bachelor (or bachelorette) party with friends. Go to Midtown for live music, The Dollar for cheap drinks, and Prohibition for cocktails and the back patio. To celebrate the launch, we’re giving you $5 off your first Charleston ride with code CHUCKTOWN. You can also get $20 in ride credits for referring a friend.